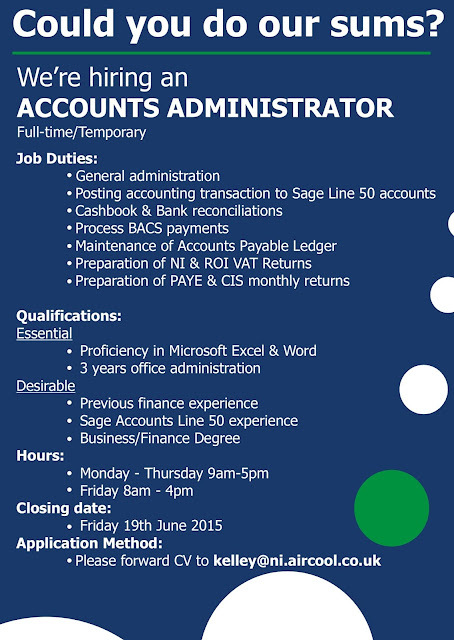 We're on the hunt for an Accounts Administrator - could you do our sums? Please send your CV to kelley@ni.aircool.co.uk and share with friends who may fulfill the criteria. Closing date: Friday 19th June 2015.